So... "Let's Get It Started" is not a Black Eyed Peas cover. I just want to put out there right up front. 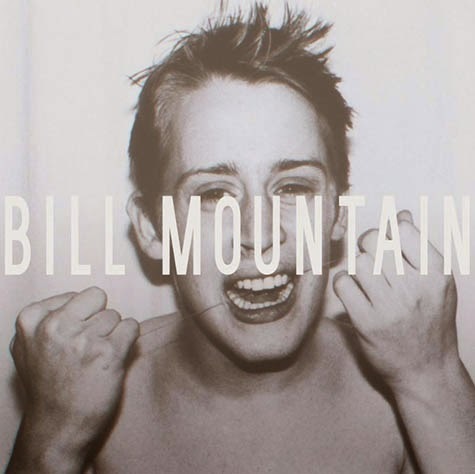 This is the new single from a band called Bill Mountain. If you thought Bill Mountain might at least want to "get it started" with something Instead, what you have is a James Chance-inspired dance mutation that's in line with current post-punk retro-chuggers like Ed Schrader's Music Beat, DINOWALRUS and, to some extent, where Mi Ami left off with Steal Your Face. It's got the shuffling guitar strokes, a tolerable shriek and ritualistic urgency from a percussive standpoint. Certainly there's energy and the sax lick stays with you. And when you're done listening, you can check out the info on Bill Mountain below, which was provided by Us/Them Group. Listen to & share "Let's Get It Started" HERE. "Imagine you're running through a hot, heavy jungle, branches slapping you in the face while you sprint from a ferocious and beautiful tiger," writes the Beaumont Enterprise's Beth Rankin. "Bill Mountain is frenetic and primal and rabid; it's screaming vocals punctuated by pounding jungle drums and, surprisingly, earth-shattering horn sound coming from saxophone player Jon Kelpsch." Bill Mountain formed in the summer of 2013 in Houma, LA (60 miles southwest of New Orleans). Four of the group's members were in a previous project that lasted a few years called Secret Society in Smaller Lies. Following the sudden departure of their singer, the remaining members quickly formed a new band with one of their guitarists taking over lead vocals. Bill Mountain started writing new songs and embarked on a West Coast tour followed shortly thereafter by the addition of a saxophonist/percussionist to the line up. Currently, Bill Mountain is finalizing their debut release, making videos, and playing shows in and around Louisiana. Track: "Let's Get it Started"